Temperatures for February 2015 were the second warmest on record, behind 1934. 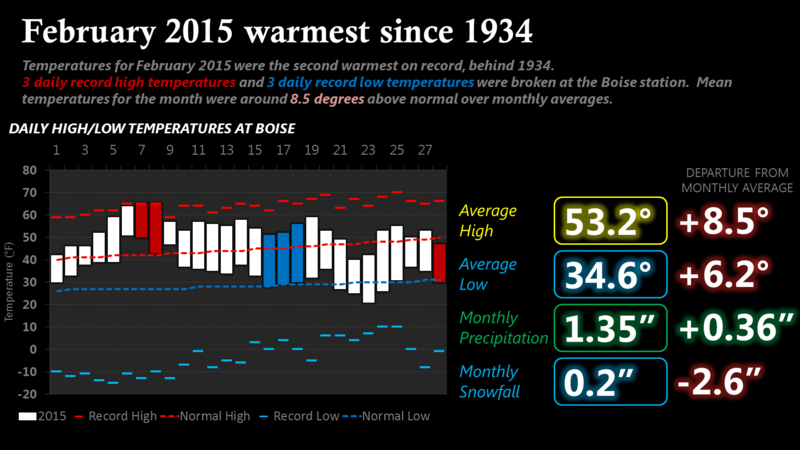 3 daily record high temperatures and 3 daily record low temperatures were broken at the Boise station. Mean temperatures for the month were around 8.5 degrees above normal over monthly averages.